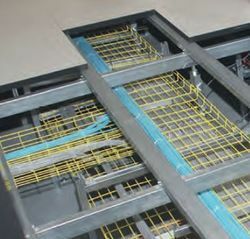 The modular Iso Floor solution is the most flexible and strongest raised floor on the market. 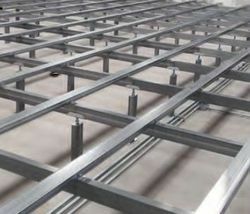 Its rigid and self-supporting sub-structure allows up to 70% fewer pedestals than with conventional 600 x 600 mm grid floors. By using Iso Floor, the hot and cold aisles are adjustable to achieve up to 25% more equipment on the same space. The advantages allow for less obstruction, more space for cable management and perfect clarity. Whenever conditions are changing in your data centre (heavier equipment, different equipment footprint, etc.) it is quite easy and very cost effective to change or reconfigure the floor system by simply adding pedestals and beam sections, or changing panel sizes.